NOA Medical leads the long term care industry in providing a wider, more comfortable sleep deck for residents. The NOA Elite EX rises from a low of 7" to high of 30" and has a safe working load of 600 lbs as standard. 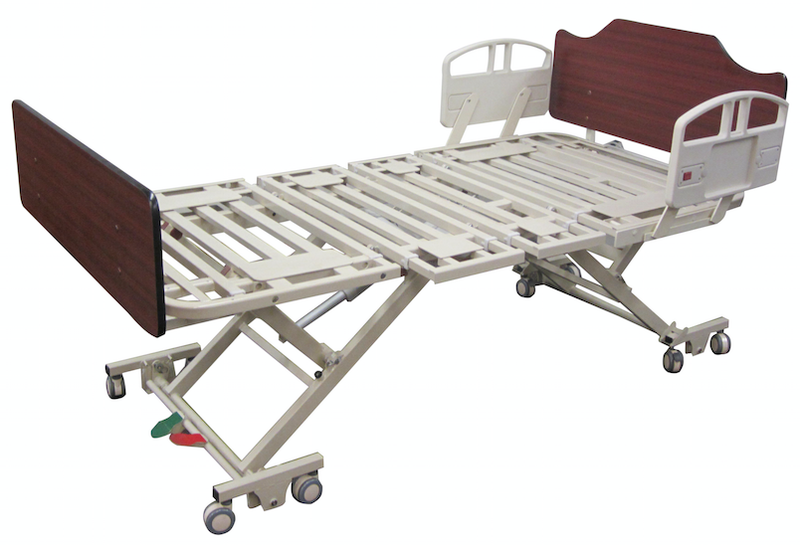 The Elite EX includes a number of features as standard on the bed, including: integrated deck expansion system, center step safety lock, wheel guides, trapeze holder, and more. overall bed length 84.5" to 88.5"